My son loves listening to stories. And since I love to tell them, we had some great times in the past years. But he is twelve now and from the moment he could read books, my role as a storyteller became smaller and smaller. He is now able to buy/make his own CD’s,so he no longer needs me. And to make it worse, my daughter (7) doesn’t like to listen to stories at all, especially not when they are told by me. I also made tonloads of casstette tapes for my son, with stories that I have on tapes,records and CD’s. 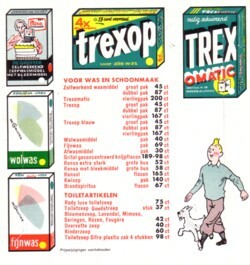 In Holland there never have been made much records with stories for children. 90% are fairy tales or adaptations of popular television series, which often are not very interesting. But all my life I have recorded radio shows, I had access to rare records from friends and I have some found interesting stories on advertisement records. 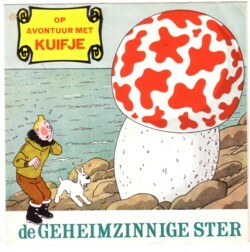 In the sixties a Dutch supermarket, De Gruyter, made adaptations of four episodes of the famous comic series created by Hergé, featuring Kuifje. The rest of the world knows him as Tintin, but in Holland we call him Kuifje. 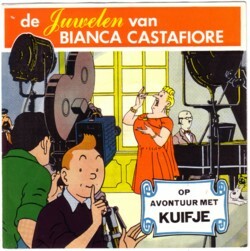 These audio adaptations are very well done (taken in consideration the Dutch standards, of course) and since Kuifje/Tintin is without doubt the most popular comic, I cannot understand why this material has never been re-released on CD. I have even offered this project to several companies, but I never even got a response. Thanks! My son will love it.